Verizon has just reported its quarterly financials and things are looking solid for the nation's biggest carrier, with only a slight miss at subscriber additions. The earnings call and Q&A that followed reveal some interesting details about what the carrier has achieved throughout the third quarter of the year. 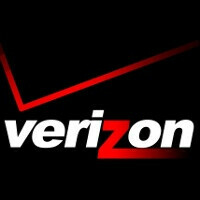 For starters, Verizon sold 5.6 million smartphones in this trimester with an impressive 2 million of them being the iPhone 4. Also 1.4 million LTE devices were sold and that's a big part of why carrier's profits are up on surging revenue from data. Big Red now covers 165 markets with LTE, reaching some 186 million Americans. When asked about more details about iPhone 4S sales, which the carrier only started in Q4, not the third quarter it reported about, Verizon CFO Fred Shammo said that the carrier ran out the first day and results have been very pleasing, but gave no concrete number. 4G LTE is also a major contributor and a differentiator for the carrier. Basically, Verizon is the only option for customers demanding more speed as AT&T is only starting to deploy its LTE service, while Sprint's WiMAX is noticeably slower and the Now Network has announced a transition to LTE which is not going to happen over a short period of time. Ok read carefully. They sold 5.6M smartphones in total. 2M from iPhone and 1.4M from LTE devices. How about the remaining 2.2M? Those are most likely 3G Android phones. this will leave a mark on Apple fanboys... no more excuses for you guys..
people only like iphone due to the simplicity of the os. im sure if they played around with an android they would love it if they used the right one. wow... those 2.2 were the free android phones or could be blackberries and windows phone .. is dumb to think only android and IOS exist..
you think majority of those 2.2M are WP and BB? seriously? well i dont want to asume. so we just leave them out... unless you have proof those are 3g..
yeah I mean we really can't asume but 2.2M is a huge chunk. but seriously what comes to your mind? are most of it android or wp or bb? think about it. i know you know what it is. some? seriously? i'm sure you can do better than that..
don't make yourself sound stupid gallito.. what's happening to you? It sounds like you are saying if Verizon subsideses the phone that doesn't count... let me see which hone do they susbidise the most? Oh that is right apple I*hone. @arc. No. You read carefully. Nowhere in the article that stated that the remaining phones are android phones. You're just assuming. Galli is right. Android fanboys are cooking up their own numbers again in their kitchen, lol. Ahhh.. another needlessly inflammatory post from Gallito. What's your f**king excuse this time? Because it's an old joke and not even yours. Repeating a stupid joke which can be made about a grand total of five or six posts I've ever made doesn't make you clever or funny. It just makes you petty and stupid. And I've had my fill of petty and stupid on this site. And just what names are you talking about? You mean when you say something haughty and arrogant and I call you an elitist douchebag? Because yeah, Gallito, you've been reaping what you've sown here. Who's in denial here? I admit that I knock you down frequently, but it's only in response to you being a jerk in the first place. Take this thread for instance: you were the FIRST COMMENTER and you made your post inflammatory and assholish. I merely responded to that. Find a post anywhere where I said that I'm "neutral." You won't find it. I try to be *reasonable. * I try to give Apple the credit it deserves for what it does right. I don't like Apple, I haven't liked Apple for about a year now, and I make no secret of that. So what's your problem with me again? cooked numbers... 5.6 million smartphones sold.. 2 million were i4.. that leaves 3.6 million smartphones sold. Even if you give a whopping million sold to blackberry (yea right), that leaves 2.6 million android phones sold. 1.4 million were LTE, which were ALL android. Not bad concidering how small the LTE footprint is right now, and the fact that most all LTE android phones are 300 bucks.